It’s time for sweet Valentine’s Day parties! As a kid and even as a mom I have loved going to school Valentine’s Day parties. It’s so fun to watch all the kids place their carefully hand-written Valentine’s in each other’s adorably decorated mailboxes! And then to see the kids carefully open and read each Valentine with anxiousness! Oh! It’s so fun! But, if you are throwing the party or even a room-mom, there are activities that are needed to make the party complete! 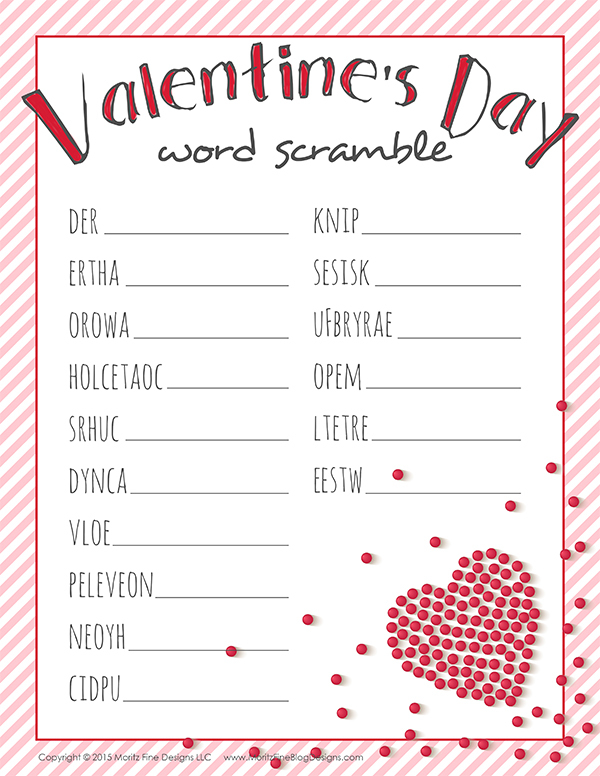 The kids will love to try to unscramble all of these valentines-y words in the Valentine’s Day Word Scramble. You could even pair kids up to work on it together or turn it into a game and have a race to see who can unscramble the words the fastest. 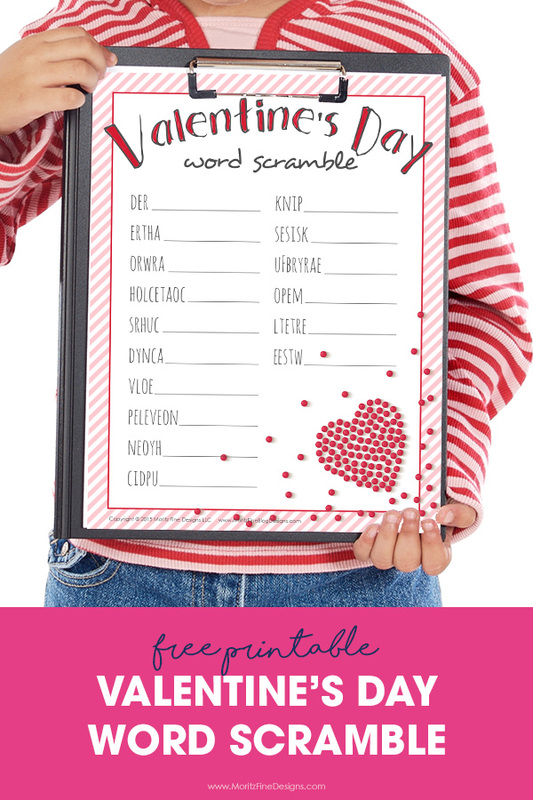 Be sure to grab our Valentine’s Day Coupon Book and also check out the awesome Valentine’s Day Fonts. These are adorable and would make the perfect Valentine favors for school! Thanks for catching that, Denise! I just fixed and uploaded the corrected pdf. Do you have a cheat sheet for this? The answers are attached to the download…it’s page 2! I tried to download this but it didn’t work. I put in my email address. Looks like you got it on your end, message me back if that’s not the case. Tara- The cheat sheet is in the delivery PDF. When you open it the first page is the words scramble and the second is the answer key! I have tried to download as well but it doesn’t seem to be working. I see the email made it’s way to you! Sometime’s it just take a bit!